CuratorSpace have launched a new bursary for artists to develop new artworks, projects, or products. We encourage applications that are imaginative and contribute to artist development. One bursary of £500 will be awarded every 3 months. 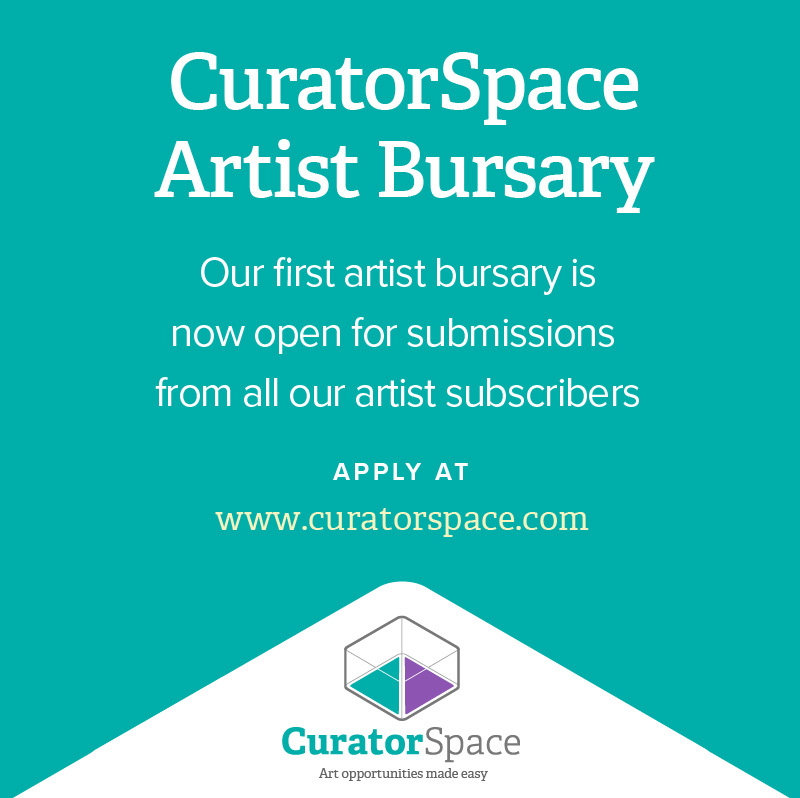 Bursaries are only available to artists with a CuratorSpace Artist subscription. If artists are applying as a partnership or collective, then at least one of them should have an Artist subscription. To subscribe go to https://www.curatorspace.com/about/pricing and click the Subscribe button underneath the Artist section. Artists can apply from anywhere in the world. Applications must be written in English. Applications are accepted from a range of practice including drawing, painting, sculpture, illustration, photography, film, video, applied art, live art, etc. Please message to enquire if you are unsure whether you are eligible. Funds can be used towards the production of new works, research and development, events, and/or exhibitions. This could also include a discrete aspect of a larger project. Students are eligible to apply. However, funds cannot be used towards payment for a programme of study. Unfortunately, we are unable to fund applications in the fields of theatre, creative writing, and music. The deadline for applications is 30th September 2018. A decision will be made within 4 weeks of the deadline and all applicants will be informed of the outcome. Activity should not begin before a decision has been made and activity should take place within 6 months of the bursary being awarded. The outcomes from the bursary are flexible and can range from research for a project, organising an exhibition or event or producing a new artwork. All we ask is that the successful applicant completes a short evaluation at the end of the project in the form of an article which we will promote through the site. We can provide support with this. The award will be made in 2 parts; one payment of £250 prior to the start of the project and one of £250 following the evaluation. The chosen proposal will be promoted through CuratorSpace and outcomes will be shared on the site and through social media.